PRINTED PATTERNS | Western Chief is known for making unique, family friendly prints! Choose from classic patterns, such as the garden play, or get whimsical in our paisley print! All of our Neoprene Step-Ins’ measure approximately 1″ from the arch, so no matter the pattern, the fit is the same! COLD-RATED & WATERPROOF | We have made our Neoprene Step-Ins’ with severe weather in mind! The 5 mm full neoprene insulation and upper make for a cold-rating of -15 degrees. The handmade vulcanized construction provides protection against rainy weather. UP TO THE CHALLENGE | Our Neoprene Step-Ins’ are durable, strong, comfortable, and versatile due to the textured rubber mud-guard and neo-flex technology. 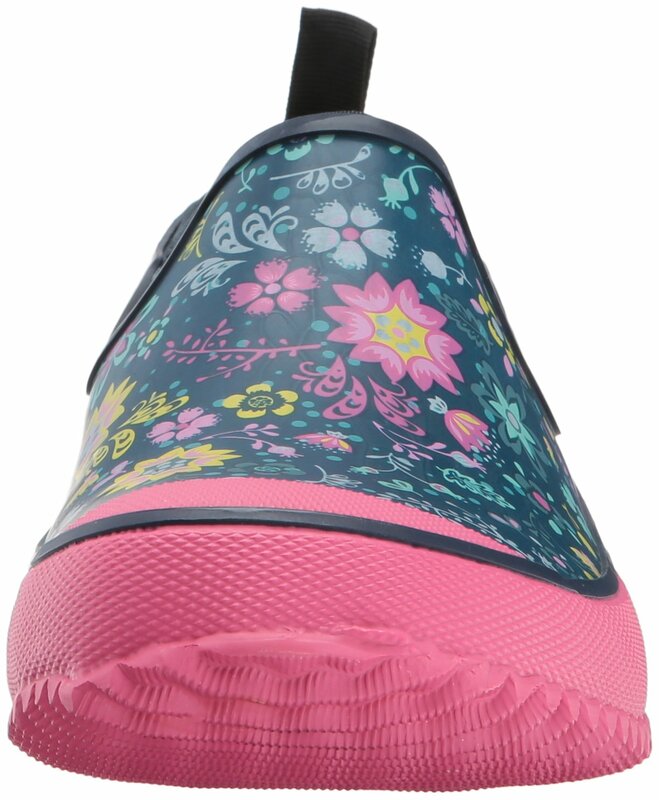 The rubber inner-sole board and steel shank provide support. There are also back pull handles anchored with nylon webbing. The pull tabs make for an easy up! 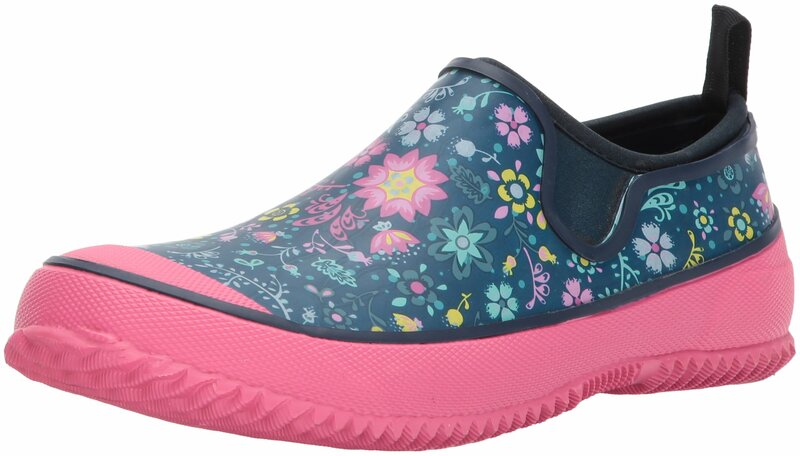 An easy slip-on and off neoprene step in that goes with any outfit! ready for gardening on those damp days. western chief has been making trusted family footwear since 1891. all products are handmade with the intent of keeping the wearer dry and comfortable in unpredictable weather. COMFORTABLE | The removable memory foam insole and soft, jersey lining provide are gentle on your skin! An added bonus comes with the lining, which is moisture-absorbent. WESTERN CHIEF | Western Chief began producing durable boots that could stand up to harsh weather conditions during the Alaskan Gold Rush in 1891. We continue to provide family-friendly outdoor wear that is both affordable and practical. 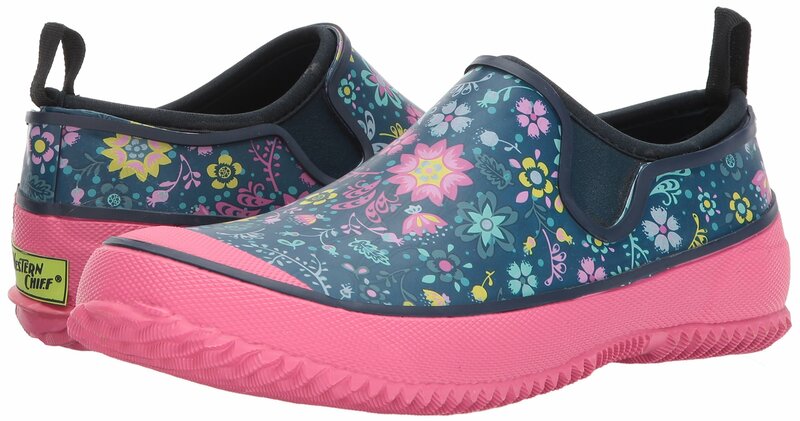 We also assist in our communities, having partnered with the Wear a Big Smile Foundation to provide rain boots for families in need. 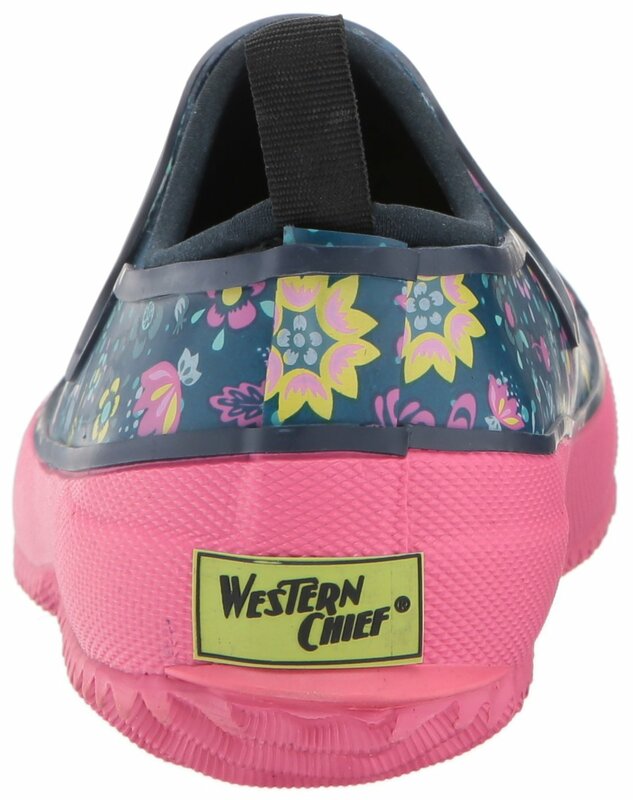 No matter the weather, Western Chief has you covered!